Commercial Chilled Water Systems, Lakeland | Johnson's Mechanical Inc. Commercial Chilled Water Systems, Lakeland | Johnson's Mechanical Inc.
We are proud to service commercial chilled water systems of all types in Lakeland and believe you will be more than pleased with the quality of our workmanship. Commercial chilled water systems are becoming increasingly popular in hospitals, universities, hotels, server rooms, and other high-heat environments that need a reliable cooling system here in Lakeland, Florida and throughout the rest of the U.S. At Johnson’s Mechanical Inc., we are proud to service commercial chilled water systems of all types and believe you will be more than pleased with the quality of our workmanship. While in use, chilled water systems return warm water from the air handlers back to a reservoir of water. When the water in this reservoir exceeds a certain temperature point, the chillers, which exist outside of the building, begin to run. After this occurs, the water in the reservoir goes through the chiller so it can be cooled to the correct temperature. As you might already know, one of the main benefits of using a chilled water system to cool your building is that it is highly efficient. This is because the reservoir water used in commercial chilled water systems is only cooled by the chillers once it reaches a certain temperature point, and the chillers remain off until this occurs. 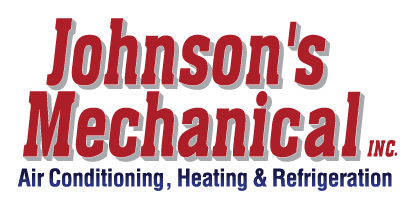 Contact us today at Johnson’s Mechanical Inc. if you have any questions about commercial chilled water systems and what our maintenance and repair services for them entail. We look forward to hearing from you and to helping ensure your business remains operational day in and day out. We are a state certified HVAC and refrigeration contractor that serves homes and businesses throughout the Lakeland, Florida area. We are also fully insured and licensed and have been providing professional and quality service to our clients since 1982. Lakeland, Winter Haven, Auburndale, Plant City, Mulberry, Zephyrhills, Bartow, Polk City, and all of Polk County.